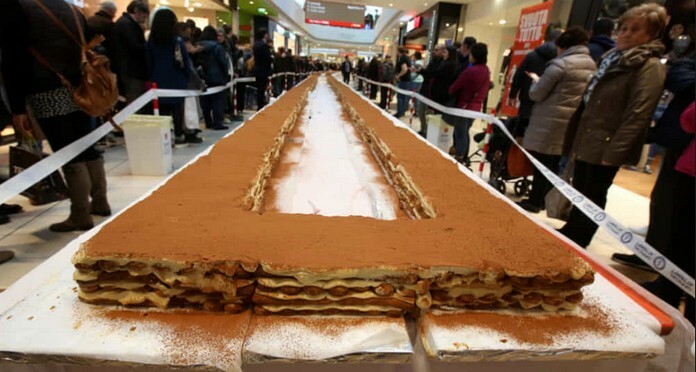 Record Tiramisu on Saturday 16 March at the CityLife Shopping District of Milan: The mall opens its doors to a greedy challenge, that Galbani Santa Lucia launches at Guinness Records®, for the preparation of the longest Tiramisu in the World. An extraordinary skill test that will take place in the Milan’s Shopping District, in an area specially set up for the occasion. 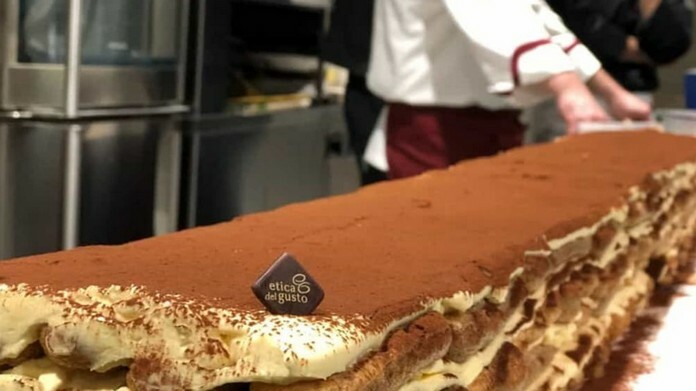 This will be 60 meters of space for almost 4 meters in width, made available to pastry chefs who will work on 80 tables 183 cm long to facilitate preparation. 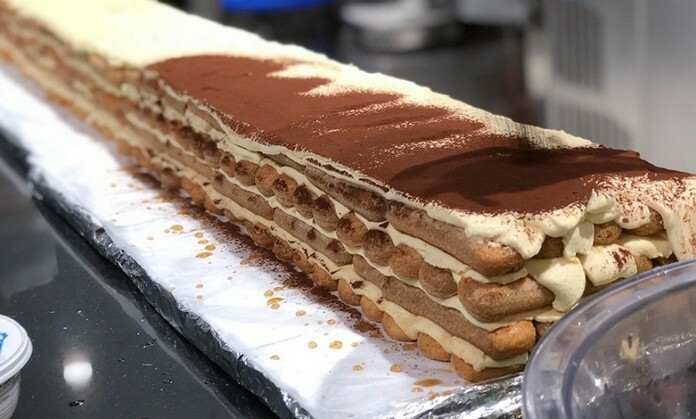 It is estimated that, at the end of the work, as many as 1,011 blocks of tiramisu of approximately 30 centimeters each will be assembled , for a total length of over 303 meters, useful to break the record.